The grand saladier a restaurant experience like no other. Our soups, salads and fruits bar completely revamped! We have chicken, chorizo, palm hearts, northern shrimp, hot dishes, freshly prepared salads and so much more! and 63 ingredients in total! 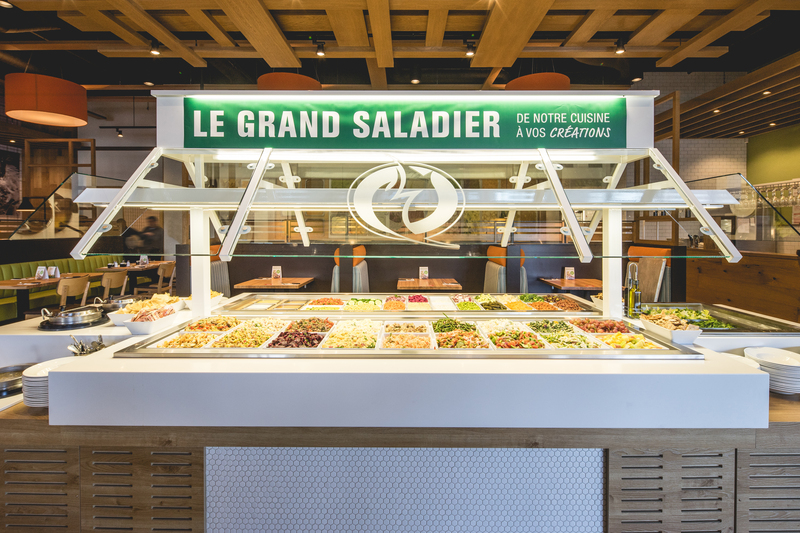 The new Grand saladier has something for everyone and the wealth of products found, will allow you to create millions of different combinations. Nacho cheese in a bowl of chili? Why not ?! Create a meal suited to your personality, your tastes, your mood or your desires! At Scores, everything is allowed. That's the advantage of the Grand saladier. NOTE : The Grand saladier is offered only at participating Scores restaurant.